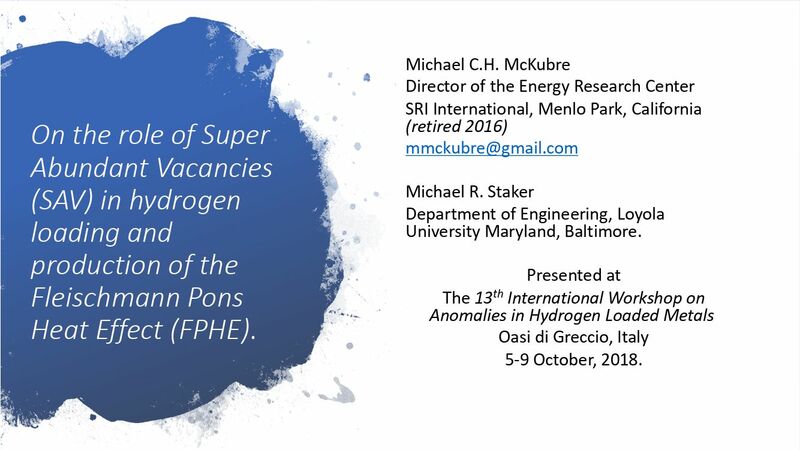 This page shows a draft Power Point presentation delivered at IWAHLM, Greccio, Italy, on or about October 6, 2018, by Michael McKubre, co-authored with Michael Staker, who presented a paper on SAVs and excess heat at ICCF-21 (abstract, mp3 of talk, proceedings forthcoming in JCMNS) (Loyola professor page, links to resume) . The last McKubre-Staker version before presentation. If one wants a searchable and copiable version. that would be it. I have posted images of the slides here. 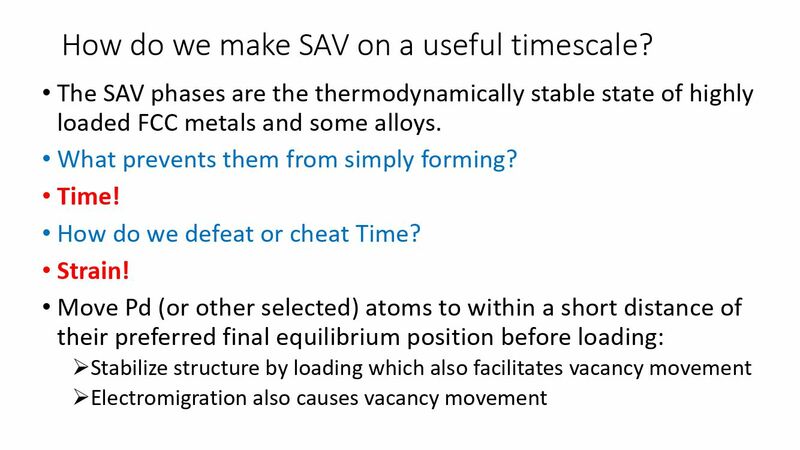 Semantically, I suggest, assuming the evidence presented here is not misleading, the NAE may be SAV even when there is no D. That is, for an analogy, the gas burner is a burner even if there is no gas burning. But that teaser title has the advantage of being succinct. The photos show, at ICCF-15 (2009), David Nagel, Martin Fleischmann, and Michael McKubre, with Ed Storms in the background, and at ICCF-2 (1991) , Martin and a much younger Michael Staker, remarkable for that far back. 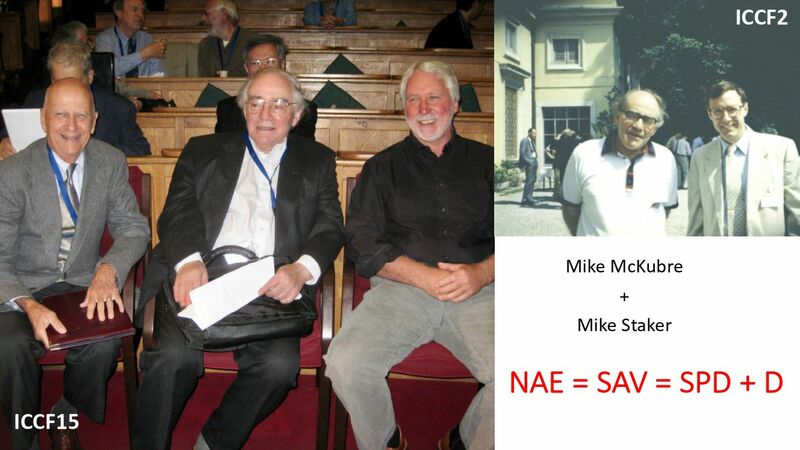 Staker has no prior publications re LENR that have attained much notice. 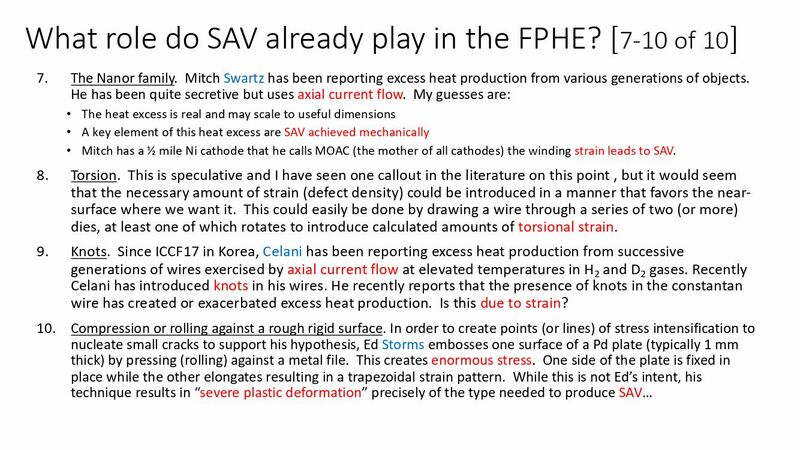 He gave a lecture on cold fusion in 2014, but the paper for that lecture, does not really address the question posed, it merely repeats some experimental results and his conclusions re SAVs, which are now catching on. 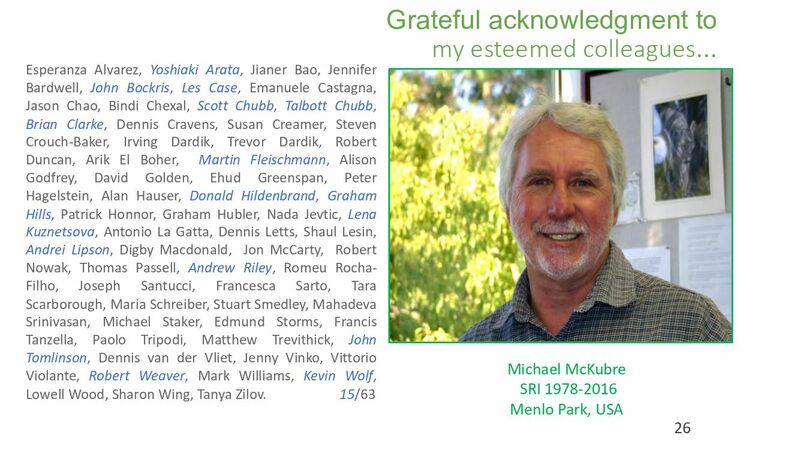 As I link above, he presented at ICCF-21 this year. I was impressed. I think I was not the only one. Rather, signs are indications and by following indications, more of reality is revealed. If we pay attention, there is no failure, failure only exists when we stop travelling, declaring we have tried “everything.” I’m amazed when people say that. Over how many lifetimes? 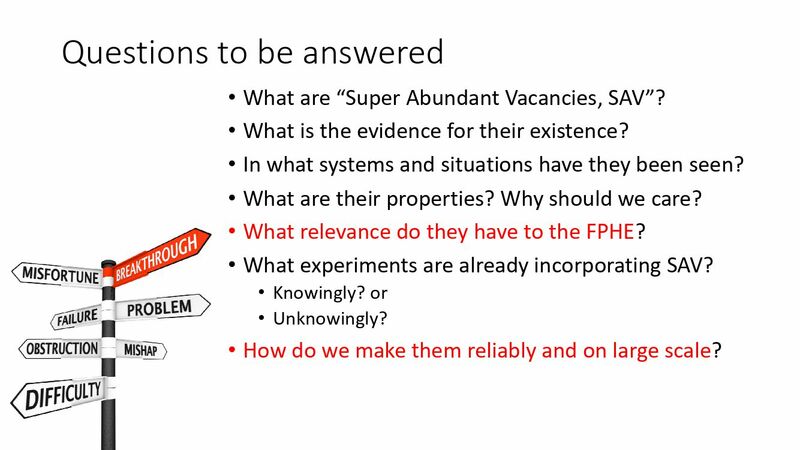 These questions are the questions McKubre has been raising, supporting the development of research focus. The whole book (506 pages) is Britz Fukai2005. (Anyone seriously interested in researching LENR and the history of the field, contact me for research library access. Anonymous comments may be left on this page, or any CFC page with comments enabled (sometimes I forget to do that), but a real email should be used, and I can then contact you. Email addresses will not be published. 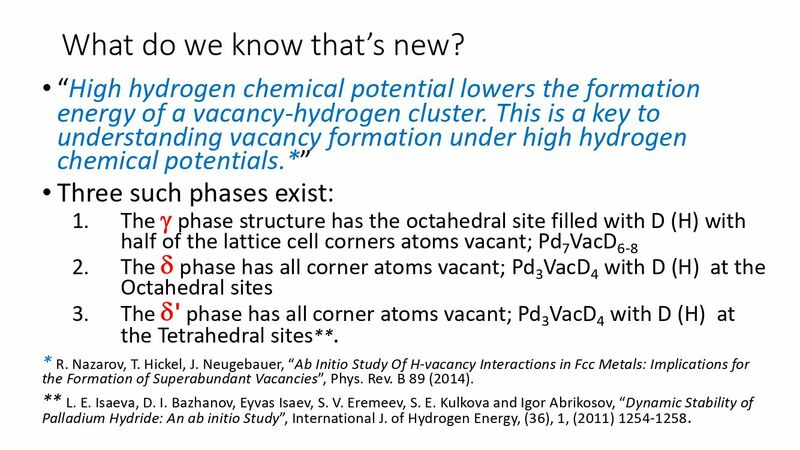 It is a bit misleading to call the positions of the deuterium atoms “vacancies.” They are not vacant and will only be vacant if the deuterium is removed. The language has caused some confusion. Isaeva et al (2011). and Copy. Tripodi et al (2000). Britz P.Trip2000. 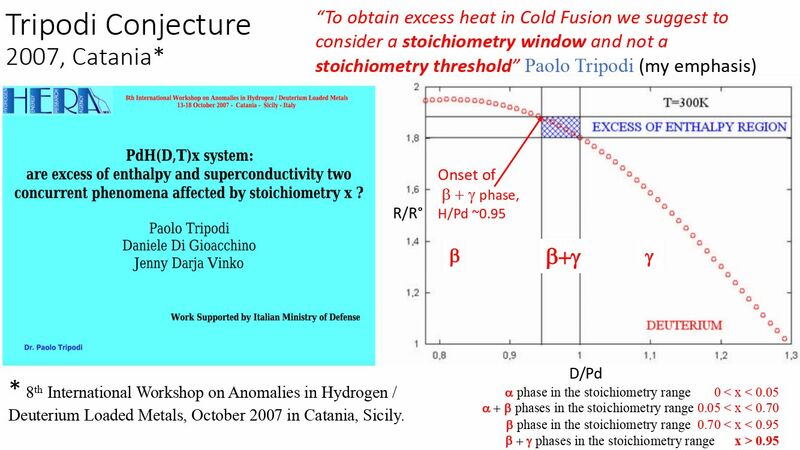 There is a related paper, Tripodi et al (2009) author copy on lenr-canr.org. Document not in proceedings of IWAHLM-8. 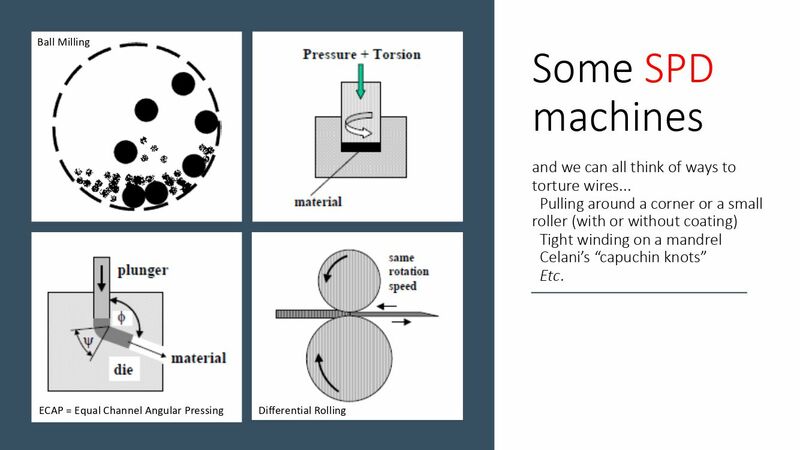 Not mentioned in lenr-canr.org bibliography. Abstract. Copy of slides on ResearchGate. 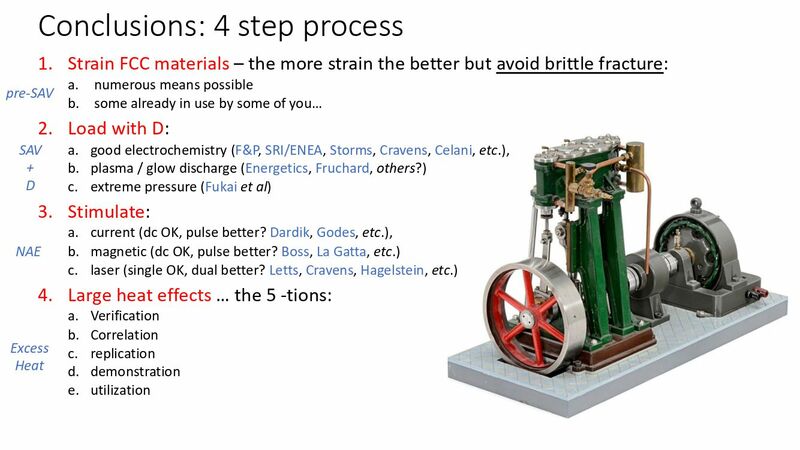 Strain uses time to create effects. The prevention is rate, not time. The metastability of the Beta phase could be better explored. 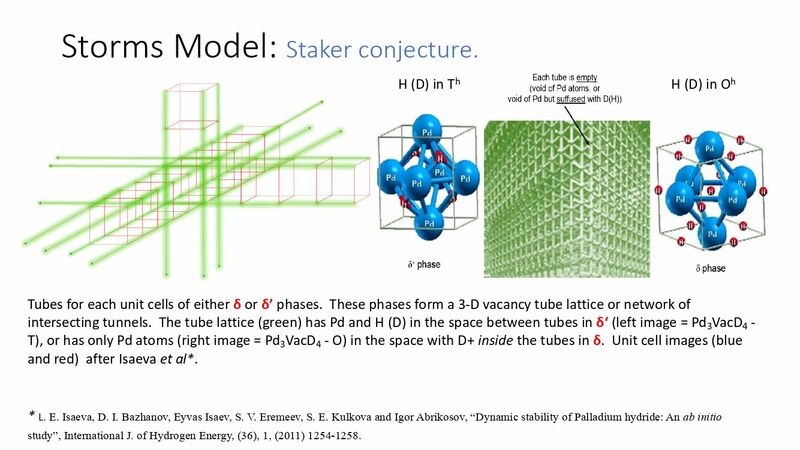 If the Fukai phases are preferred, I would think that under favorable codeposition conditions, they would be the structures formed. 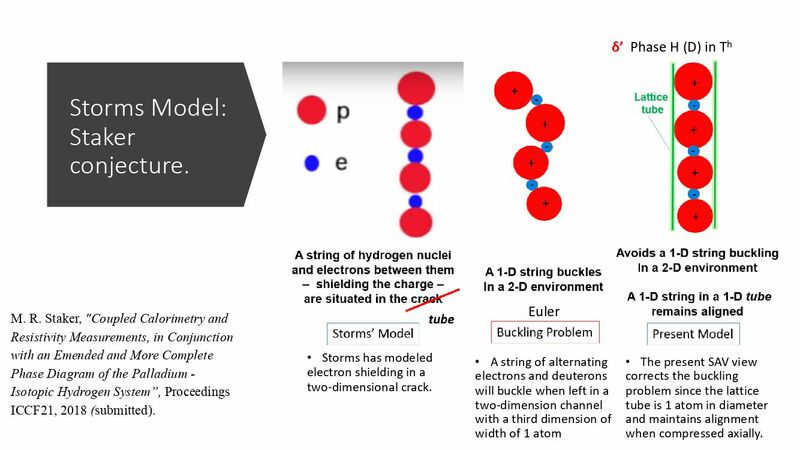 I’d think this would take a balance of Pd concentration in the electrolyte, and electrolytic current. Some codep is not actually codep, it deposits the palladium first, then loads it by raising the voltage above the voltage necessary to evolve deuterium. Is this correct? This plating/loading might still work to a degree if the palladium remains relatively mobile. Of all these, true co-dep seems the most promising to me. But whatever works, works. I think co-dep at higher initial currents may have an adhesion problem. Information on the Toulouse meeting used to be on the iscmns site. As with many such pages, it has disappeared, http://www.iscmns.org/work11/ displays an access forbidden message. From the internet archive, the paper was on the program. There would have been an abstract here, but that page was never captured. This paper never made it into the Proceedings. 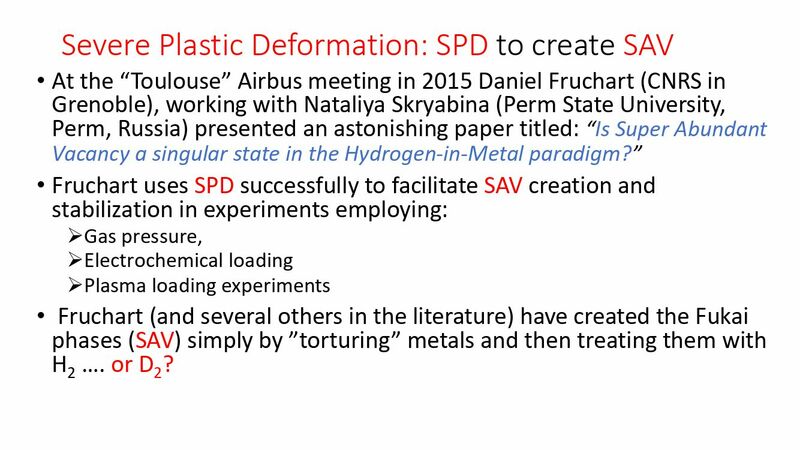 I found related papers by the authors about severe plastic deformation with metal hydrides by searching Google Scholar for “fruchart skryabina”. 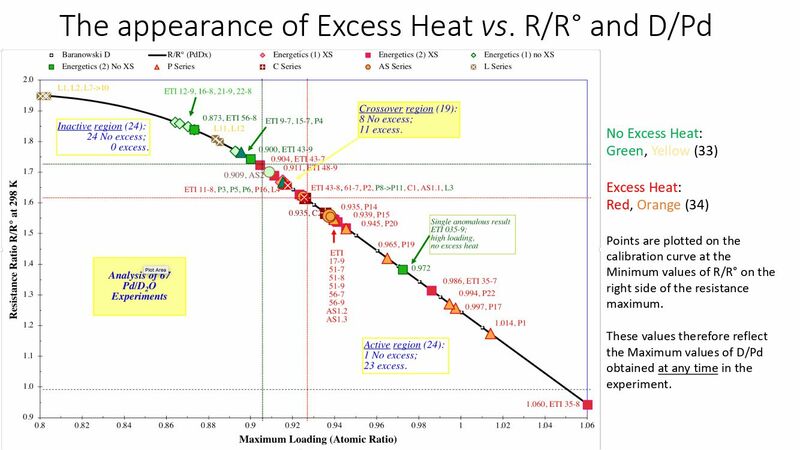 Color me skeptical that the nuclear active configuration is linear. 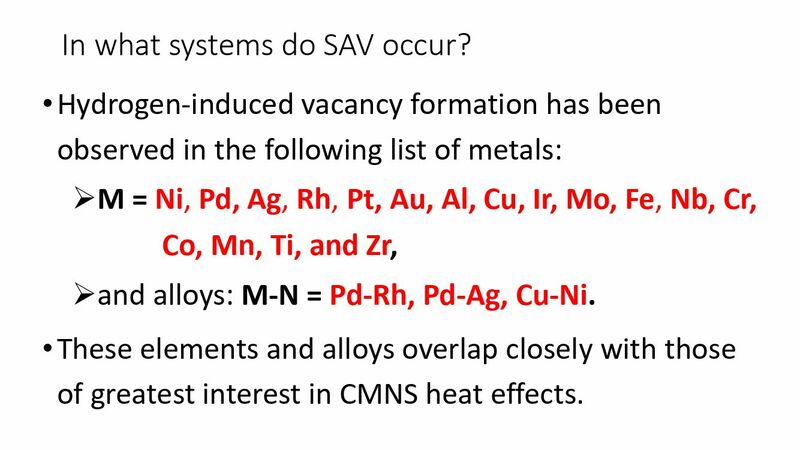 However, it is reasonable that a linear configuration might be more possible and more stable in SAV sites, as pointed out. Among other implications, SAV theory suggests reviewing codeposition. 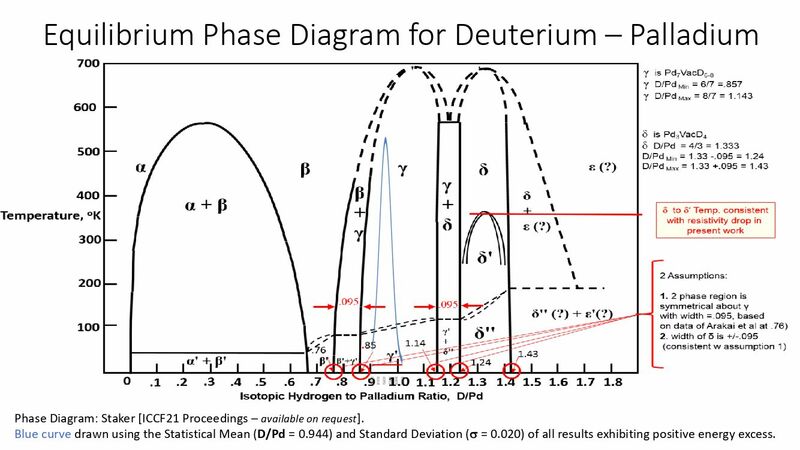 In particular, “codeposition” that started by plating palladium at a voltage too low to generate deuterium was not really codep. 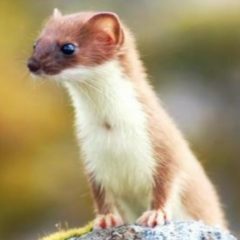 The original codep was a fast protocol, the claim was immediate heat. That makes sense if Fukai phases are being formed. Longer experiments may gunk it up. So many in the field have passed and are passing. As well, some substantial part of the work is disappearing, not being curated, as if it doesn’t matter. Perhaps our ordinary state is inadequate to create the transformation we need, and we must be subjected to severe plastic deformation in order to open up enough to allow the magic to happen. What occurs to me out of this is to explore codeposition more carefully. It’s a cheap technique, within fairly easy reach. It is possible that systematic control of codep conditions may reveal windows of opportunity that have been overlooked. There is much work to do and the problem is not shortage of funding, it is shortage of will, which may boil down to lack of community, i.e, collaboration, coordination, cooperation. Research that is done collaboratively or at least following the same protocols can lead to significant correlations. Thanks Abd. I have broken out of the monastery to viable WiFi and have gone through your work above carefully. A very nice job, thanks again. Obviously I think this is important – in fact a new important understanding. At least to me. My co-author Mike Staker had the essence of this understanding back in 1989/90. We have wasted much time. We will write this up and add some important qualifiers and names missing. 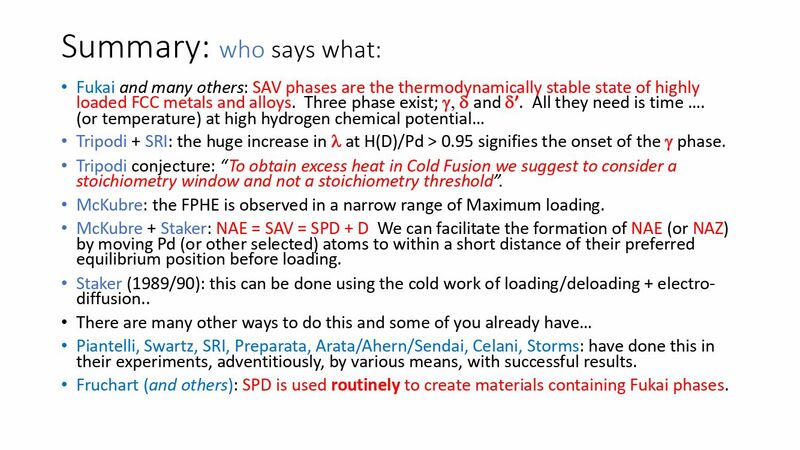 3) The method pioneered by Letts (at higher current density and therefore high chemical potential) truly co deposits, with both vacancy and high chemical potential D created simultaneously. It may be that co-dep will not scale well. 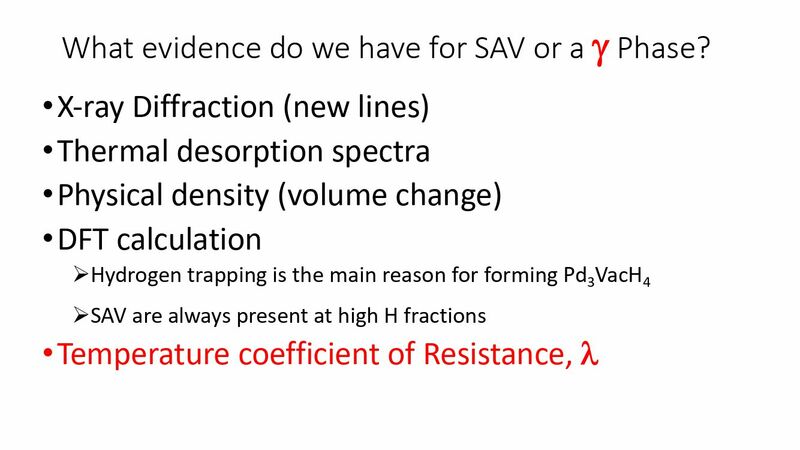 I would suggest close attention to the methods shown as cartoons on Slide 20 … particularly ECAP. I am trying to enlist Daniel Fruchart. 1. Maybe. What I get, and clearly, is that codeposition deserves further exploration. 2. I’m unconvinced. Reading the first papers, he used a copper substrate and saw immediate heat. Without D? I don’t think so! I also don’t expect major vacancy structures from pure Pd deposition, but yes, there might be substantial vacancies from the random character of deposition. 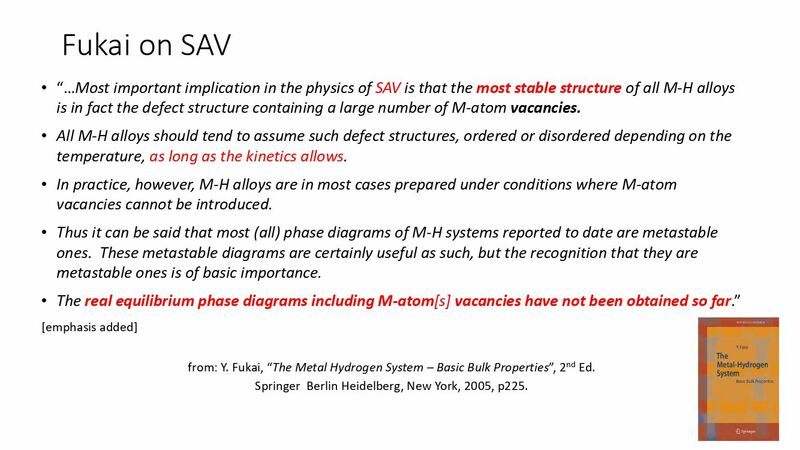 But the basic SAV concept here is that if there is substantial H(D) present, the Fukai phases are preferred thermodynamically. 3. So we need way to rapidly identify that there is a reaction. I’m been suggesting some approaches which might or might not work: sound, light. 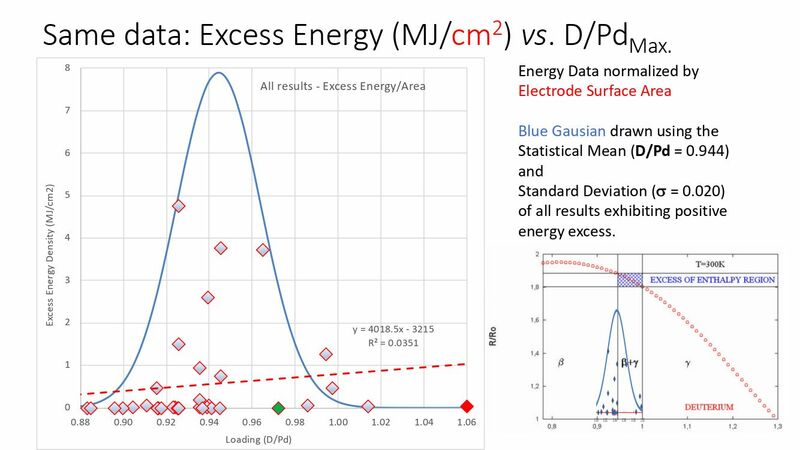 Maybe a drop in resistivity of the interface layer from ionization from low-energy CP radiation. 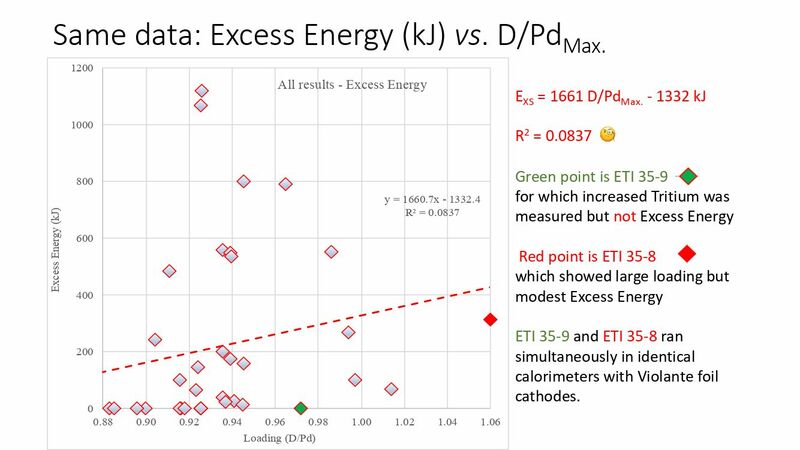 Or maybe more sensitive calorimetry, pushing it to the limits. The goal is indication, not proof! Because the purpose here would be to elucidate what Mitchell calls OOPs. 4. I wrote more, but this is public and I may need to go dark on some ideas. I’ll email you. Sounds good Abd. I am not quite sure what you are arguing in “2”. 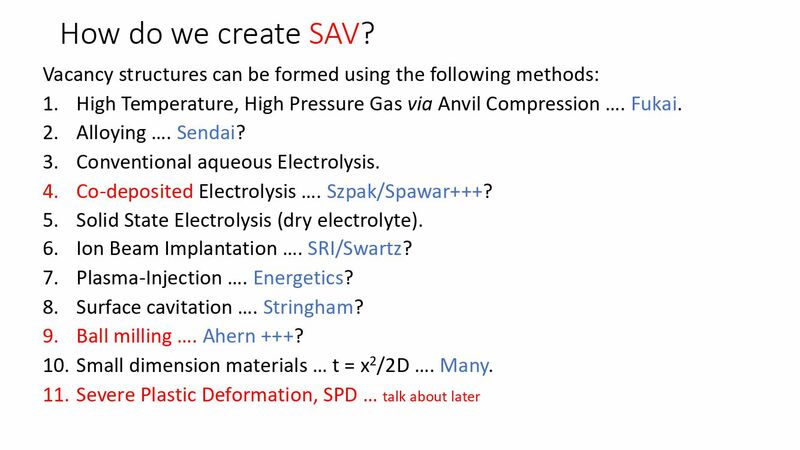 At low current density the deposition reaction will consume the Pd from solution first – then start to chew on D2O to sustain the current and deposit D. As it does the chemical potential of D will go up (ultimately into the SAV range). Under Letts’ conditions both depositions occur simultaneously (i.e. co deposit). I am not sure which is best, or whether it will functionally make a difference. 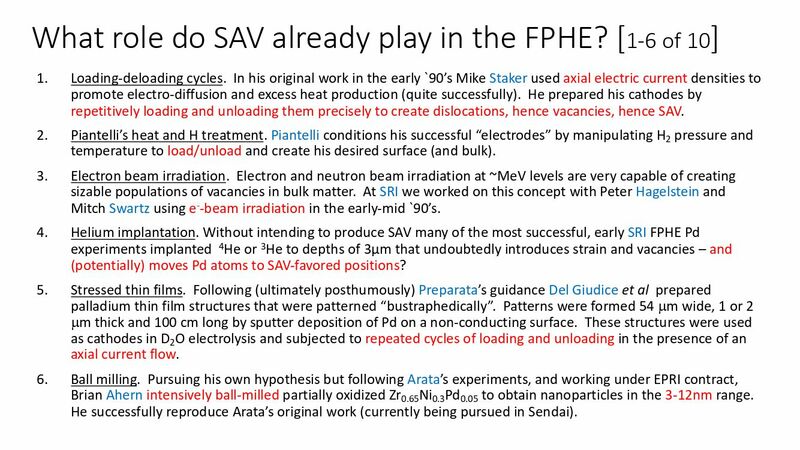 Just by observation the Pd deposit in the Szpak case has lots of space for the SAV rearrangement to occur (in times as short as s or even ms). Certainly a timescale on which ALL our present calorimetry methods are blind. But I agree that co-dep in all its potential forms deserves MUCH more exploration. And I would like to see faster – i.e. smaller, less thermally massive and more intimate – calorimetric methods applied for the development of a screening tool. BTW the first person I heard speaking about co-deposition as a tool to explore (what later became) the FPHE was Bob Huggins (Stanford). I suspect that Szpak and Huggins co-invented this technique (others too?) but the Szpak group certainly put in the effort to make it real and publish. But the later work was not measuring heat, and the protocol ran the cells for weeks and then took them apart and looked at the CR-39 SSNTDs. Single-measure experiment, or relatively so. I think it was studying elephant fleas. The low-voltage start is not actually “codeposition,” then. 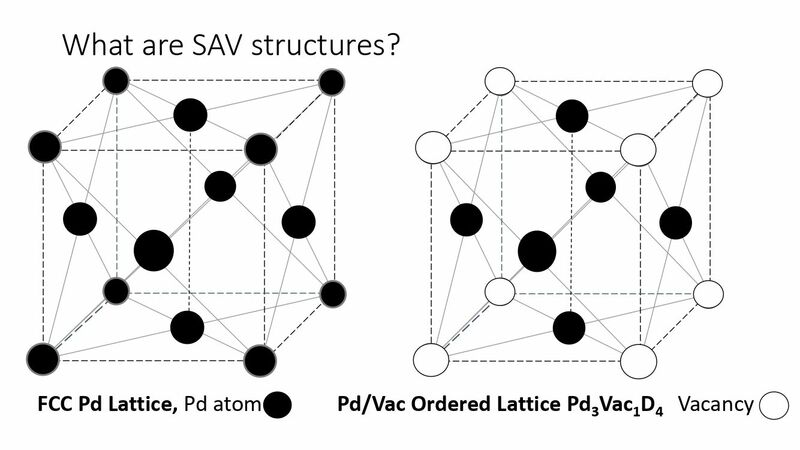 It’s deposition of Pd followed by loading with D. So there is no presence of deuterium with the depositing palladium to favor the formation of SAV material. 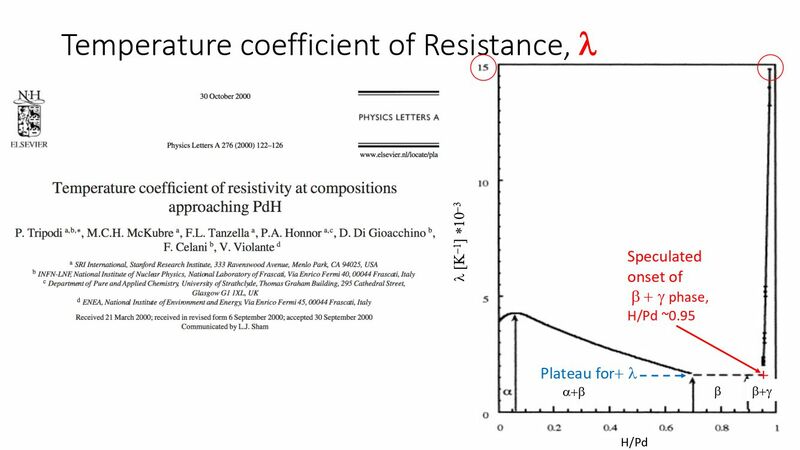 It might create high-vacancy material anyway, electrodeposition might do that in general. But not the “superabundant” material that is so interesting. So I am expecting from these considerations that the Letts method is more likely to create immediate effects, and this suggests exploring the parameter space.